As consumers and businesses focus on energy savings for the long term, the market for high-efficiency lighting in the U.S. will continue to expand. According to a report by market research firm RnRMarketResearch, the market is expected to grow more than 10 percent each year through 2017 to $11.7 billion, with the building market driving growth in LED commercial lighting fixtures. New federal energy-efficiency regulations and changing attitudes about resource use continue to affect lighting choices for businesses that want to save on energy costs. With the introduction of the Energy Independence and Security Act of 2007 (EISA 2007), new lighting standards require that lamps sold in the U.S. consume 25 percent less energy, according to the Department of Energy. Thanks to advances in manufacturing, energy-efficient lamps are becoming more affordable and attracting more cost-conscious buyers. 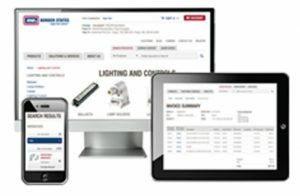 Businesses are committed to focusing on cost savings associated with energy-efficient lighting for both residential and nonresidential building applications. 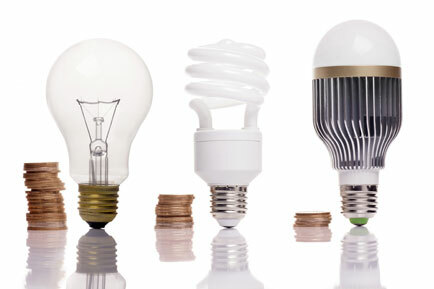 Buyers are likely to swap out incandescent lamps for high-efficiency lighting products, including light-emitting diodes (LEDs) and compact fluorescent lamps (CFLs). As popular choices for lighting, CFLs can generate up to 75 percent energy savings while LEDs can yield even more with an estimated 75–80 percent in savings, according to the Department of Energy. When consumers install new energy-efficient lamps—such as LEDs and CFLs—in place of 15 inefficient incandescent lamps that consume 100 watts of power, they can save $50 per year. LEDs and CFLs appeal to businesses that want to save money on operating costs for their commercial lighting due to their long life and low maintenance, which helps to save on labor costs. As the building and construction industry is a crucial market for promoting energy efficiency, the U.S. Green Building Council (USGBC) recently praised President Barack Obama’s initiatives to increase renewable energy use and improve building efficiency. The USGBC, which oversees the Leadership in Energy and Environmental Design (LEED) program for higher efficiency resource and building use, equated wasted energy to wasted money. LEED was designed to help certify buildings that employed energy- and resource-saving techniques and materials, such as high-efficiency lamps. More buildings are employing LED industrial lighting to gain improved energy savings. More than 10.4 billion square feet of commercial building space uses LEED, according to the USGBC, to save energy and money.